Electricity from the solar roof is produced in direct current (DC) and has to be “converted” with an “inverter” to alternating current (AC) which is the standard household current. 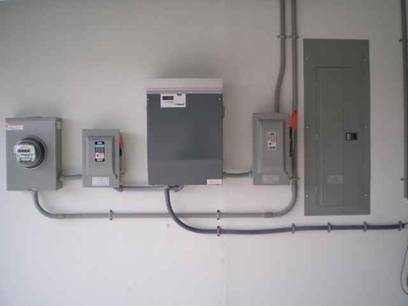 The system feeds electricity back into the public utility grid and then generates a dollar for dollar credit to your utility account every minute of every day that the sun shines on your solar roof! A Builder’s Dream ! ! ! ! ! ! 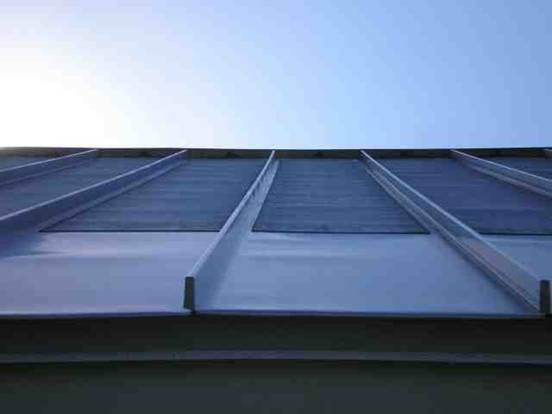 This state-of-the-art product, Thinfilm photovoltaic solar laminate, allows the builder to combine energy producing solar cells with metal roofing to produce a true BIPV “building integrated photovoltaic” system. 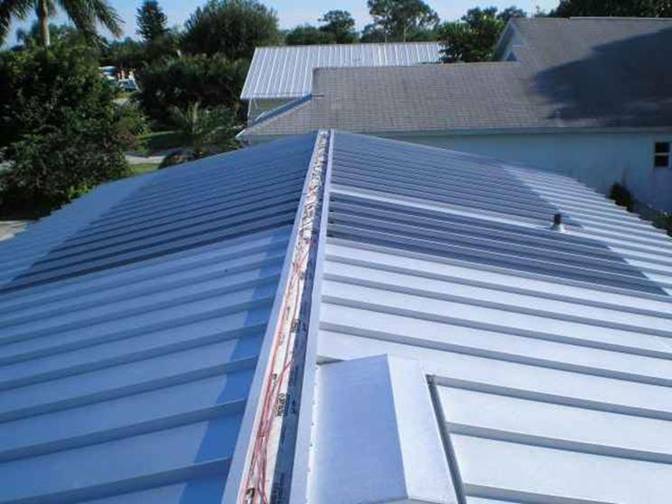 This system eliminates the objection to the “bulky, exterior panel look”, it eliminates any worry from roof penetrations (and potential leaks!) 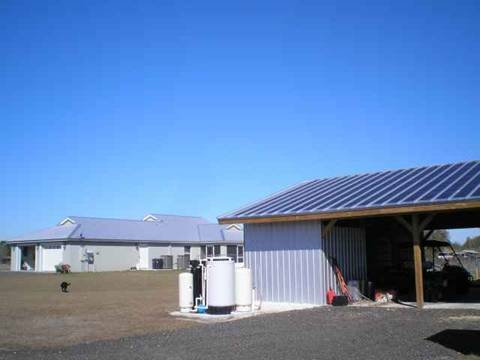 which are necessary to mount panel brackets, etc., and perhaps most important of all, gives assurance to high wind concerns when installed on a certified metal roof. 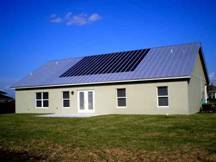 This BIPV is rated to withstand hurricane force winds up to 140 MPH! Energy Independence is now readily obtainable through modern technology, state rebates, and Federal tax credit incentives! 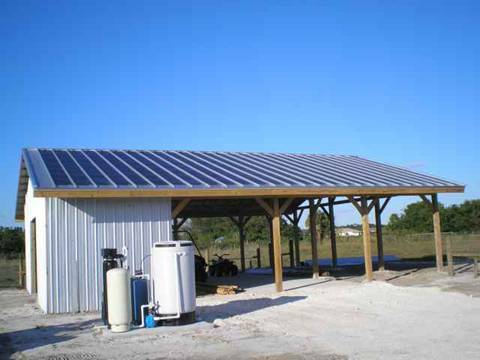 The Federal tax credit incentive is equal to 30% of the installed system value with no cap! Thomas Edison told his friends Henry Ford and Harvey Firestone: “I’d put my money on the sun and solar energy. 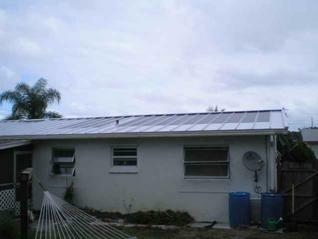 This 2040 watt Uni-Solar thin film photovoltaic system was installed on this Stuart Florida residence in Oct. 2008. 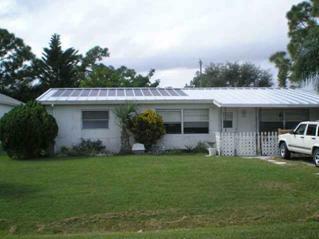 As of June 2009, this homeowner reported a surplus KwH CREDIT on their FPL bill!